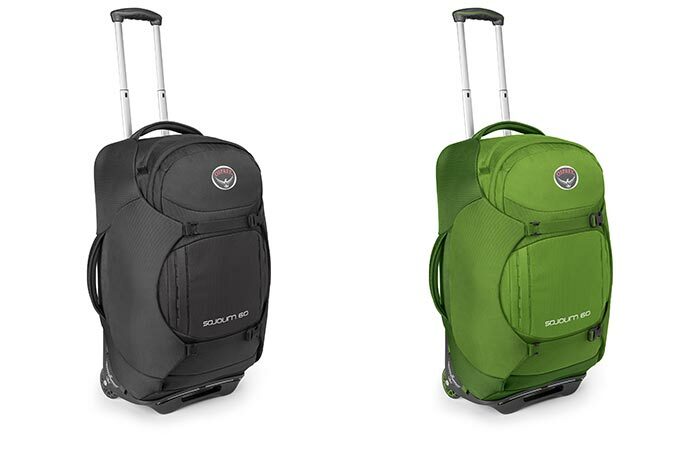 Osprey Sojourn Wheeled Luggage is designed so you can both roll it or carry like a regular backpack. This luggage is durable, comfortable to wear and has plenty of storage space inside. With 25-Inch / 60 Litres, it’s perfect for those who want to be ready for any travel scenario. First of all, there’s AG AntiGravity mesh system that takes care of ventilation and provides a good level of comfort. The High Road Chassis makes sure you can carry it on uneven terrain. There’s also the retractable handle and adjustable, removable harness and hip belt. Not to forget many flexible attachment options and StraightJacket compression system. 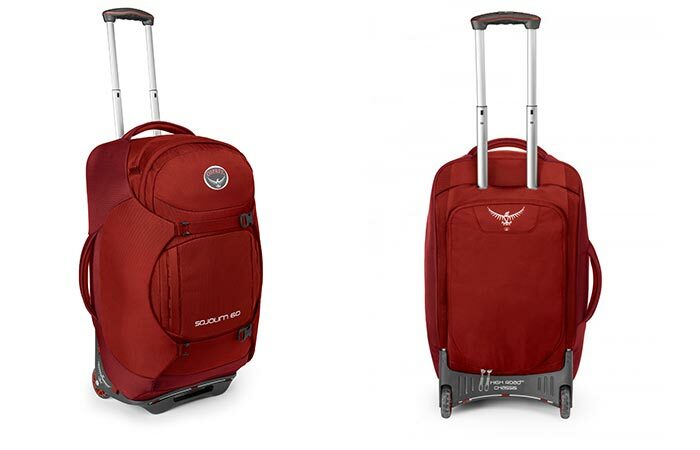 Osprey Sojourn Wheeled Luggage has 25 Inches/60 Litres. It’s very durable, comfortable to wear and most importantly, you can both roll it and carry like a backpack. This pack also features padded foam side walls that will keep your things secured. The slot in the mesh back panel can adjust torso lengths from 16” to 22”. Inside, you’ll find two mesh-lined compartments perfect for dirty laundry. There’s also a liquid/accessory pocket and a few other compartments for smaller items. 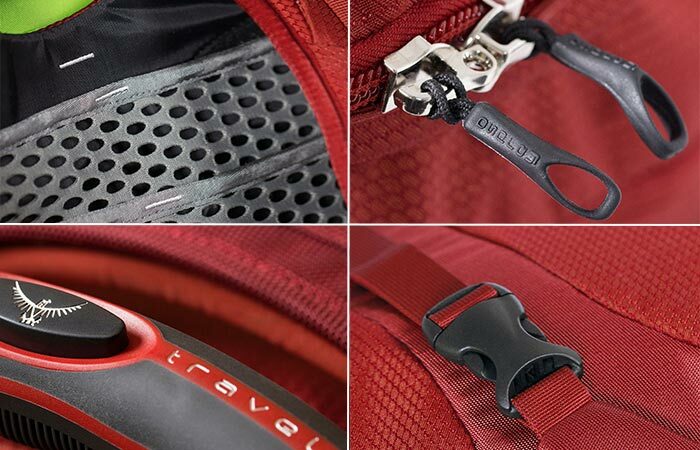 Some features like lockable zippers, retractable handle, suspended mesh back system and StraightJacket compression. The polyurethane wheels are very durable and will go smoothly on any surface. Some other features are the strap with emergency whistle, ID card holder, and internal key attachment clip. As for the dimensions, Osprey Sojourn Wheeled Luggage measures 14 x 25 x 13 inches and weighs seven pounds, 13-ounces. You can get it in several colors. You can get it also in black and green.